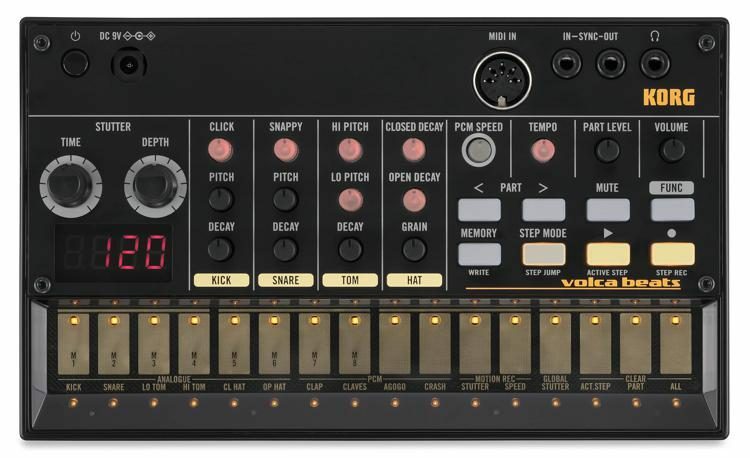 The volca beats provides six of the sounds for which the greatness of analog shines most clearly: Kick, Snare, Hi Tom, Lo Tom, Closed Hi Hat, and Open Hi Hat. 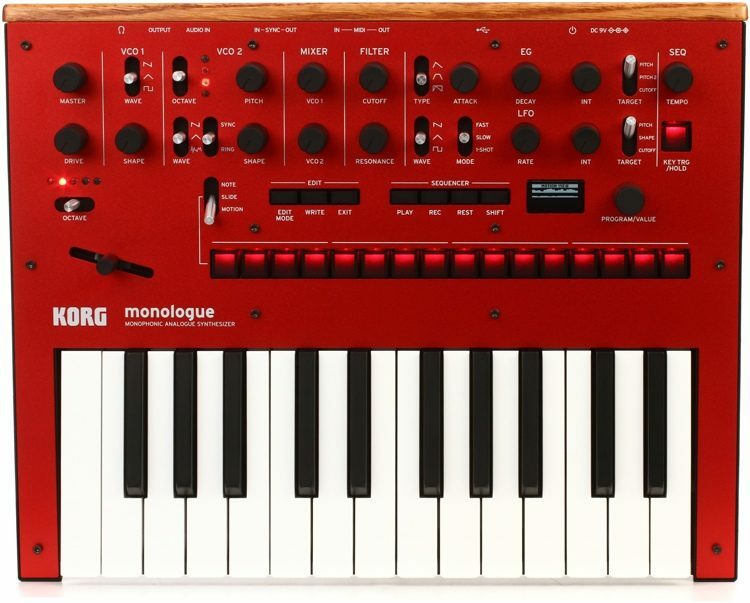 Paying careful attention to the standard sounds that are indispensable for dance music and that are included on numerous synthesizers and sampling CDs, we’ve designed powerful new sounds that could not be produced by any means other than analog. Regardless of the settings, all of these sounds will have great presence and density, and will deliver the convincing power that’s possible only from an analog sound generator. 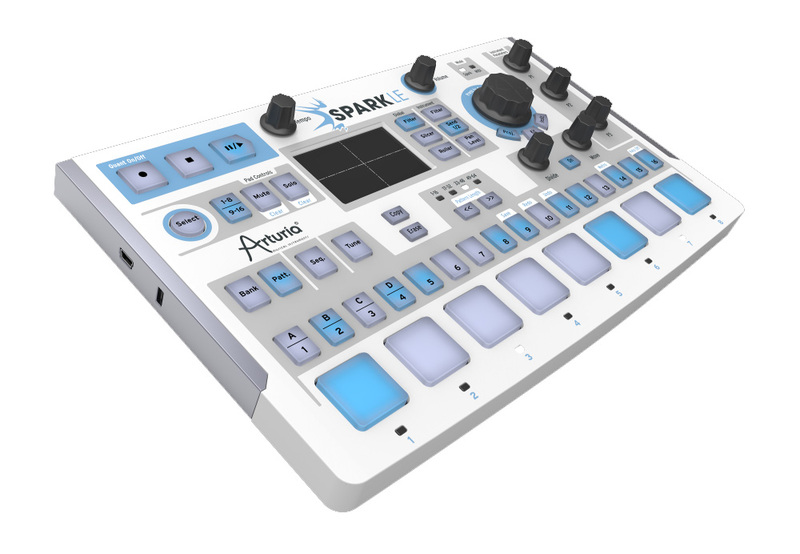 The PCM sound engine is used to cover sounds for which an analog synth is unsuited, such as Clap, Claves, Agogo, and Crash. We’ve also paid attention to the PCM engine, and have reproduced the rough lo-fi sound of the ’80s. 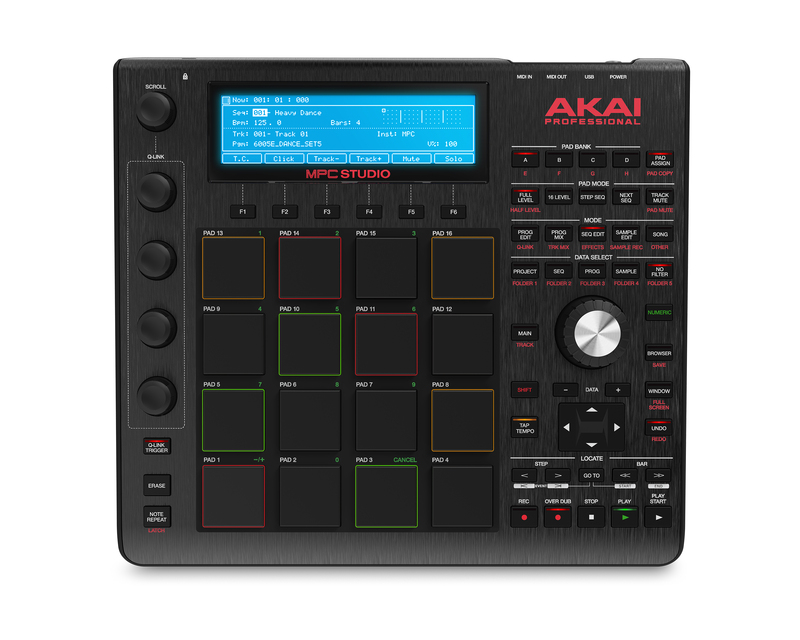 These sounds are a good match with the analog drums, and you can also create even more distinctive sounds by changing the PCM Speed to dramatically raise or lower the pitch. The Active Step function lets you skip a step during sequence playback; the Step Jump function instantly plays only the step you’re pressing. 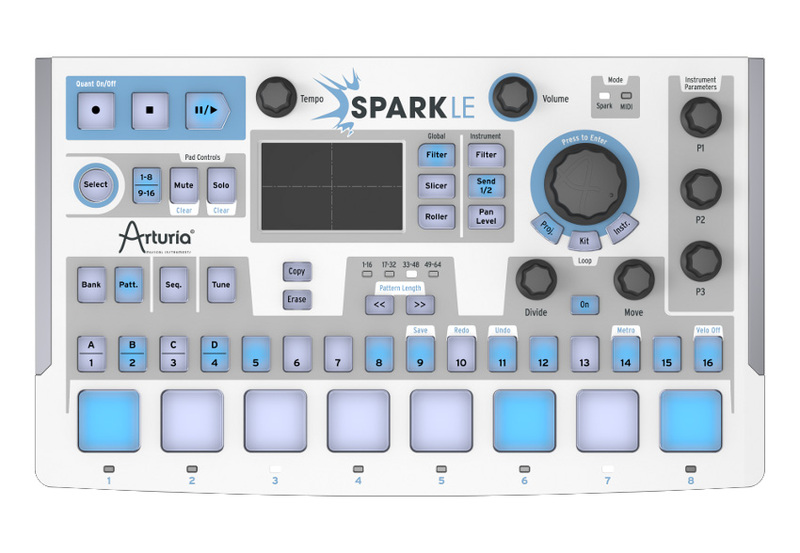 It can create effects similar to a short loop or unexpectedly irregular rhythms, allowing dynamic performances just as though you were performing the sequence itself. 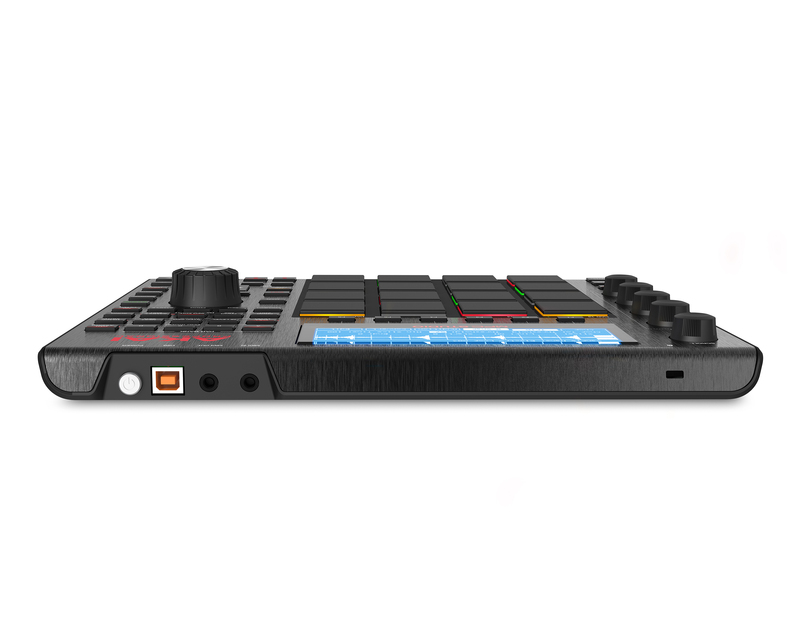 By using the sync jack you can enjoy synchronized playback with multiple volcas or with a monotribe. You can also use the “SyncKontrol” iPhone app to wirelessly control tap tempo, swing settings, and synchronized playback with iOS music apps via WIST. With its compact size, battery operation, and built-in speaker, it’s easy to take the volca anywhere and perform any time. 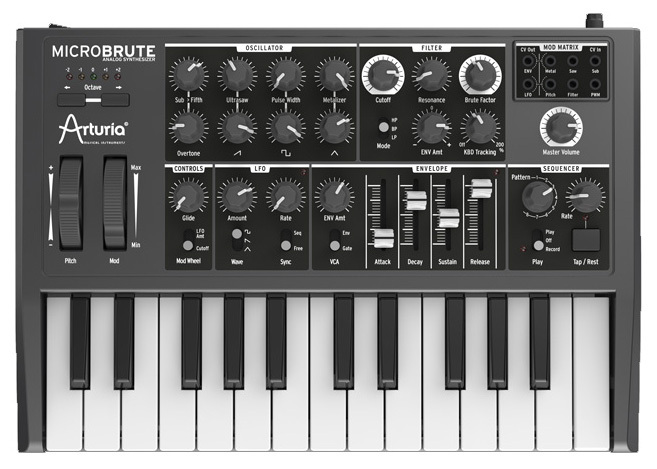 Please note, RIOTSOUND INC is an AUTHORIZED KORG DEALER as well as a direct partner of KORG. 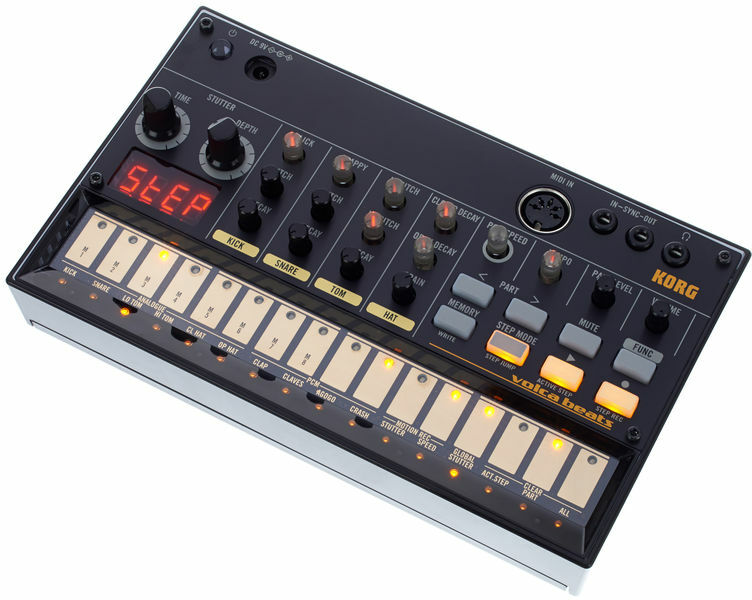 Every KORG product we sell comes factory sealed and includes an original factory warranty. With nearly a decade of pro-audio retail experience, at RIOTSOUND INC we offer you the expertise, commitment and attentive customer service to make sure you will be 100% satisfied with your purchase, each and every time. Please shop with confidence and peace of mind. Shop with an AUTHORIZED KORG DEALER and receive a 1 year warranty on your item against manufacturing defects.